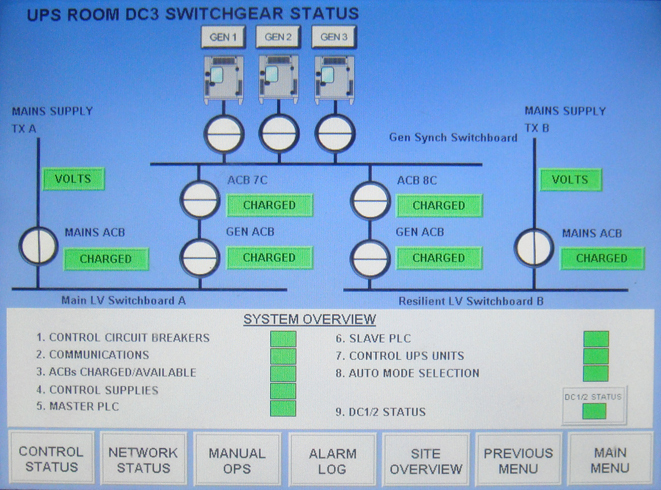 Generator/Mains Auto Transfer System secures the electricity supply this Data Centre. This level of robustness is reserved for critical systems. 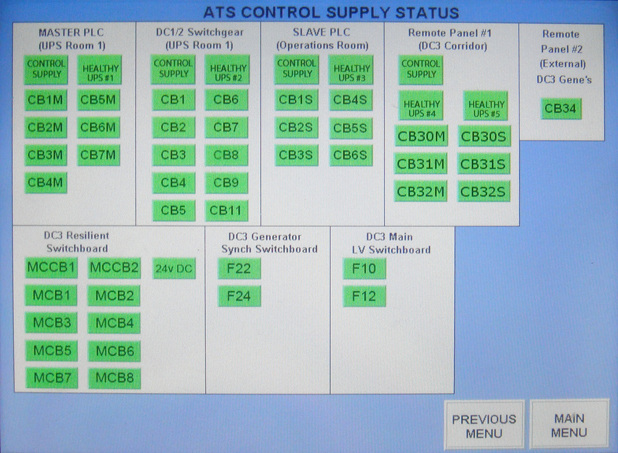 Due to the high commercial importance of maintaining a source of supply to our customers data systems it was deemed necessary to implement a control system to ensure maximum reliability and availability. 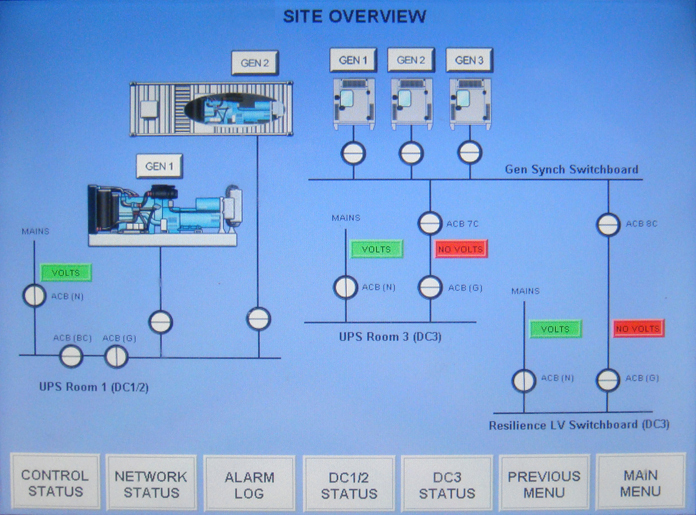 To achieve this level of performance we designed a system based on dual redundancy of the PLC modules and all aspects of the control system. Further, the Master and Slave system checks and cross checks the system for faults with the ability to immediately report the occurence of a fault. 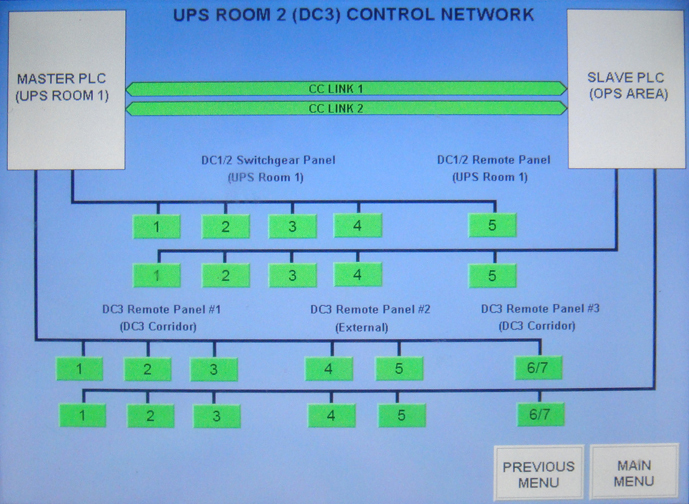 All CPUs, Power Supplies, Digital input, Digital output modules, relays, Phase Failure Relays are duplicated and fed separately to / from the Master and Slave PLCs. The system has been designed and proven to operate with several faults and still maintain its ability to start the generator and control the Air Circuit Breakers. 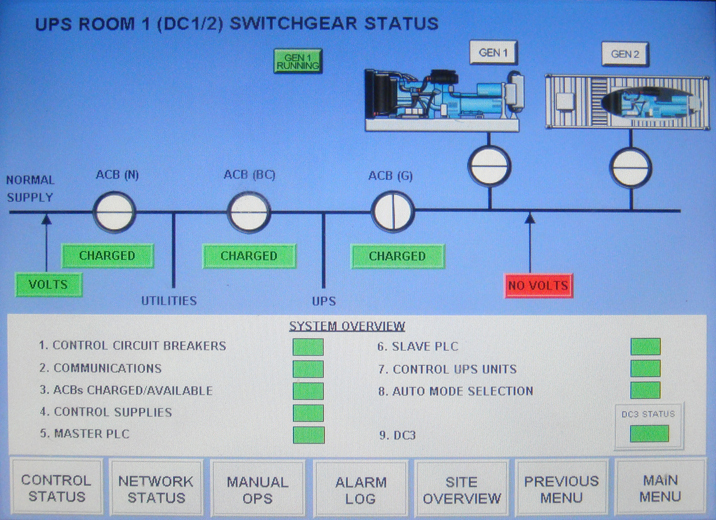 Each PLC has its own HMI that provides visual status and a time stamped logging facility to allow the later analysis of a switching event. 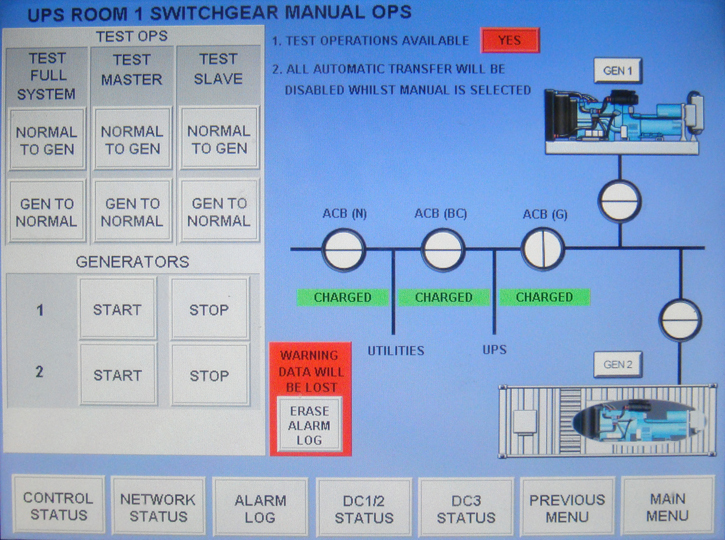 The HMI can also individually test Master and Slave systems to exercise the primary and redundant components of the system. The system is further secured under Soft Controls 24 hour support service.